Within 250 metres from the centre of Tinos Town and the church of Virgin Mary, Ageri Hotel offers air-conditioned rooms with a private balcony. It has an on-site bar and serves buffet breakfast in the morning. 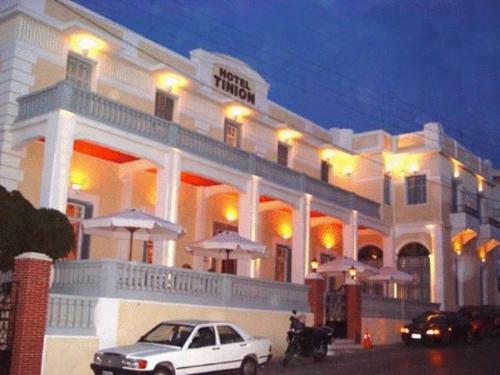 Set in colourful Mediterranean gardens, this charming 3-star hotel is 2.5 km from Tinos Port. The beach of Kionia is at 150 metres. The family-run hotel offers Cycladic-style rooms with garden views and free Wi-Fi. 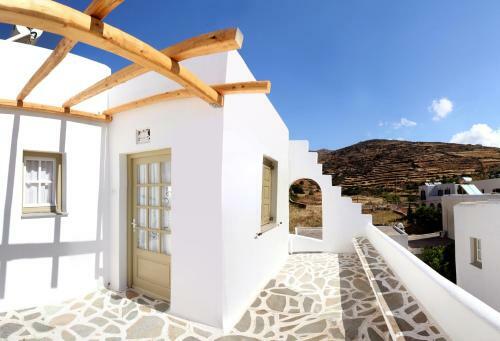 Within 500 metres from the main town of Tinos, Altana is a boutique hotel offering elegant Cycladic-style accommodation with free Wi-Fi. It includes a small swimming pool, a mini gym and a stylish bar, just 50 metres from the sandy beach.